Going back to school? Here are some of the best laptop backpacks for every situation, whether you're studying abroad or interviewing for an internship. 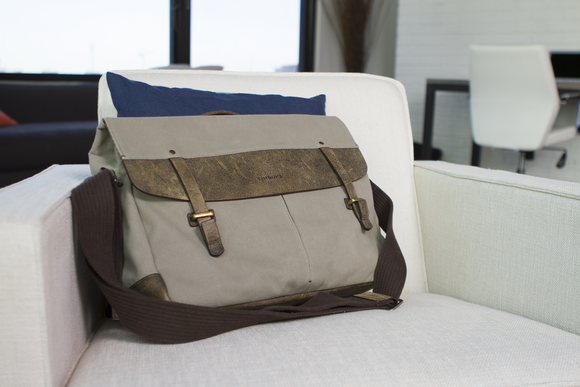 Next to a laptop itself, a laptop bag is one of the most important purchases you can make come back-to-school time. 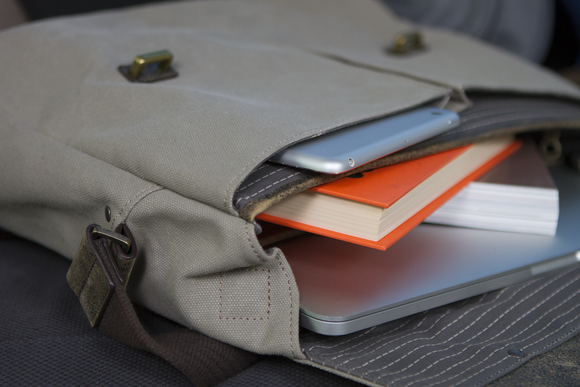 A good laptop bag will help you take on the load of the new school year, while a not-so-good laptop bag could end up spilling out all your gear when you’re already running late to a final exam. Isn’t that ironic? With so many laptop bags and backpacks to choose from, it would be an idle exercise to try to find the best laptop bag out there. Instead, we’d rather help you find the right laptop bag for any situation, from making an impression on the first day of class to surviving finals weeks unscathed. The right laptop bag will not only protects your most-precious cargo (your laptop) and help you carry the rest of your back-to-school arsenal, but also offer unique features that put the plus in A+. 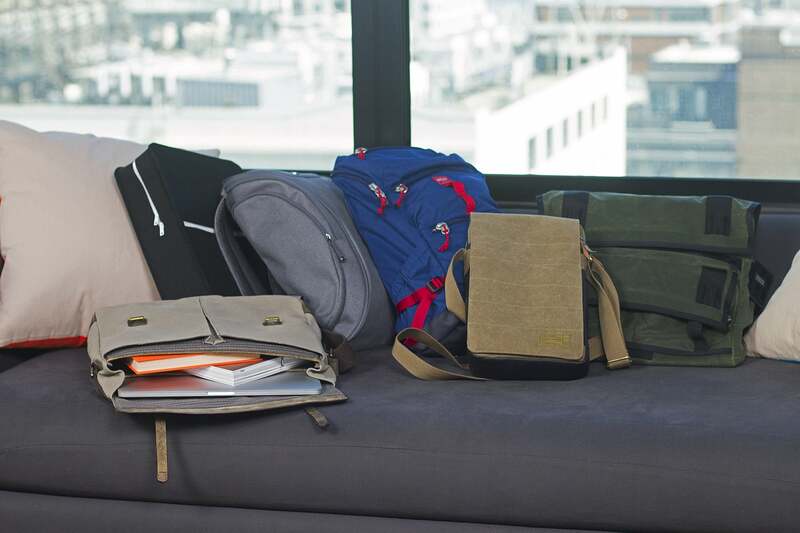 Here are the best laptop bags for the ever-changing nature of a hectic school-year. The turtle-shell design makes it seem compact on the outside, even though it's truly spacious on the inside. 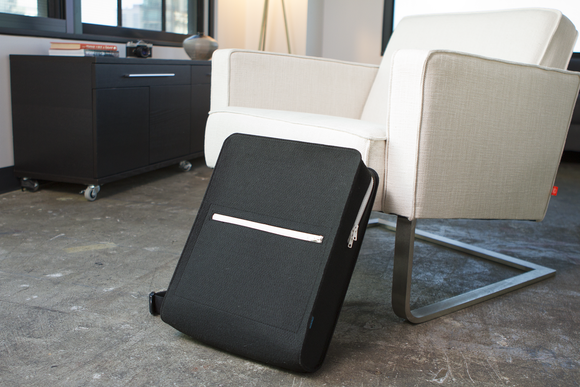 Leave it up to Booq to make a laptop backpack that’s both compact and spacious at the same time. 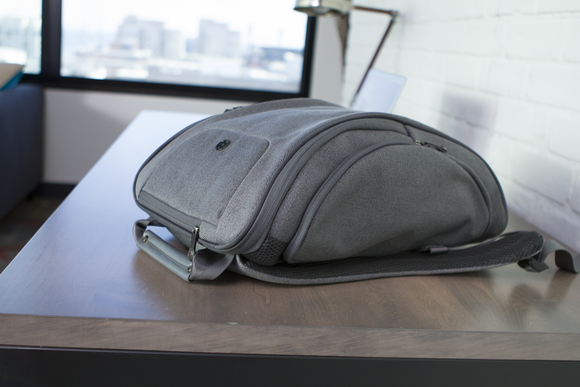 The company’s Cobra Squeeze (MSRP $195, available on Amazon) is the VW Beetle of laptop backpacks, using a dome shape so you can stuff as much as possible without creating weird bumps or needing an oversized backpack. During our review testing period, this was the most impressive aspect of all—how the Cobra Squeeze could squeeze in even tight, crowded spaces like the subway or school hallways. 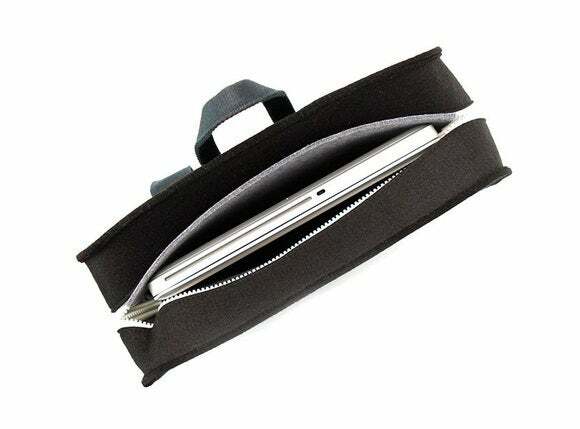 The Cobra Squeeze has a dedicated laptop sleeve that can fit up to a 15-inch MacBook Pro or a 16-inch Lenovo Ultrabook. Then there’s a second sleeve for tablets. 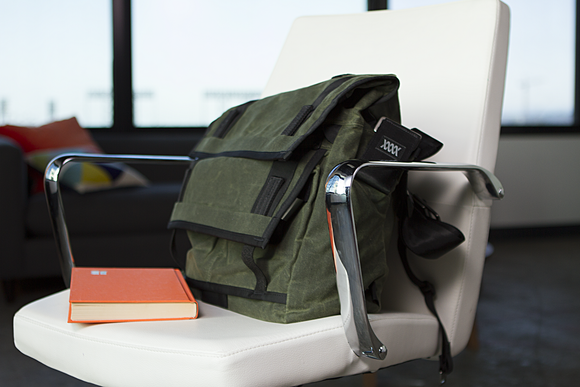 On either side of the backpack, you’ll find easy-to-reach zippers for storing your smartphone. These side-pockets have extra padding to avoid scratches, and they’re super helpful when you need to grab your iPhone to check text messages. This backpack’s unique turtle-shell design also helps redistribute the weight so that your shoulders don’t feel worn out throughout the day. The shoulder straps are padded and curve inwards, which is very helpful, too. Even though we used the Cobra Squeeze to lug around a laptop, a tablet, two college textbooks, a full water bottle, and three pretty thick novels (The Amazing Adventures of Kavalier & Clay, anyone? ), the bag still felt light. Furthermore, the Cobra Squeeze uses a water-repellant fabric in case of a rainy day (although it never rained on us during our review testing period), and the company has instituted a serial number tracking system to help recuperate lost Booq bags, making them a worthwhile investment. So you can feel confident bringing a Cobra Squeeze to school with you every day. 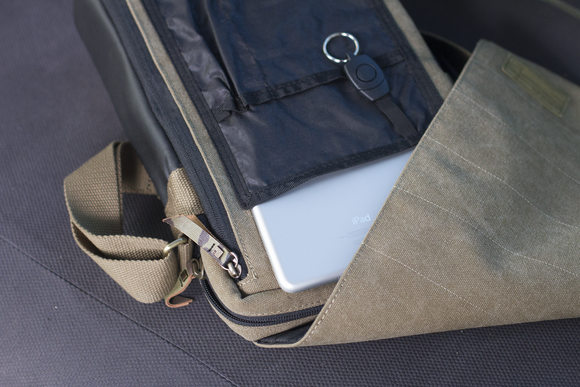 Perfect for light travel and carrying only the essentials, which could mean a 12-inch MacBook or Surface tablet. We’ve all been there: You snooze through your alarm and wake up at 8:55am, right before a 9 o’clock final. You don’t have time to change out of your pajamas, let alone pack all your stuff or be weighed down by a heavy laptop bag on your way to class. For horrifying moments like this, there is Hex’s Infinity Cross Body bag (MSRP $70, available on Amazon). I’m not a morning person, so during our review testing period this laptop bag helped me get from my bed to work a lot faster. 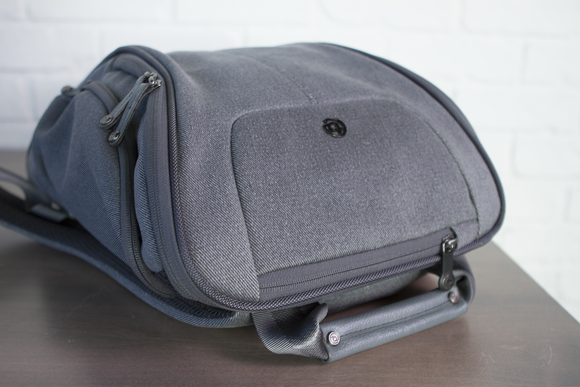 By packing only the essentials, which can include a 12-inch MacBook or an 11-inch Surface tablet, the Infinity Cross Body bag saved me a lot of time by doing away with all the dilly-dallying in the morning. I knew just what could fit in this bag, so I didn’t have to keep asking myself, what else should I bring? Even though the Infinity Cross Body bag is not intended to carry everything, I was surprised to see just how much stuff I could fit. The main compartment has a laptop sleeve that’s padded with super-soft fleece to prevent any scratches. Tablets can fit in the exterior pocket in the back for easy access. Right on the front there’s an organizer that can fit any sized smartphone and even an iPad mini. The flap covering the organizer has a magnet closure, and it stayed secured even as I was dashing to catch a green light. The straps are sturdy and adjustable, but they aren’t padded. But that wasn’t necessary because I was never carrying anything that weighed more than three or four pounds anyway (12-inch MacBook, iPad mini, and an iPhone 6s). This laptop bag has a very specific purpose, and it could be just what some students need if they prefer to always use an ultra-portable laptop and they can download most of their textbooks on their tablet. It’s also great for biking. As for the rest of us, this Hex bag will come in handy only on a few occasions, but it could be what gives you that extra 15 minutes to finish a test. This stylish backpack is surprisingly spacious and sturdy, and its unique architectural look will stop strangers in their tracks. If you want to make an impression on the first day of class, wearing this stylish backpack is a good way to start. The Evan Backpack (MSRP $125, available on Amazon) is the product of Mad Rabbit Kicking Tiger or M.R.K.T., a Los Angeles-based company that was started by a Harvard architect. Talk about a conversation starter. 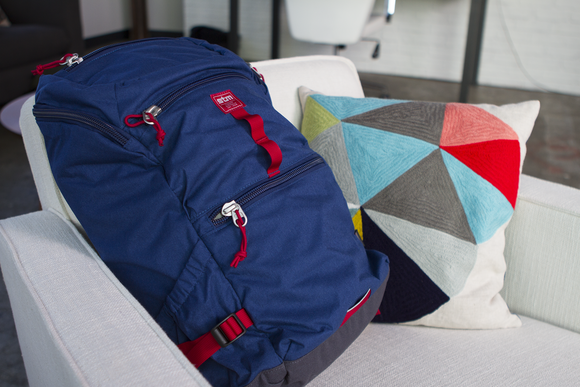 Inspired by architectural concepts, this backpack is firm and sturdy. During my review testing period, Evan never lost its rectangular shape, even after I tossed it around a few times, stomped on it, and stuffed it to the max. In fact, the Evan Backpack may seem too precious to carry any substantial load, but I was able to fit a 15-inch MacBook Pro, two textbooks, a hardcover novel (Naked Lunch, if you’re wondering), a water bottle, and an iPad mini to boot. The backpack zipped up perfectly, and it retained its cool-looking shape throughout the day even with all that gear stuffed inside. Evan’s laptop sleeve is made of soft felt, which makes it somewhat water repellant. My water bottle spilled a little during my commute, and the felt cover kept my laptop dry on the other side. (However I did not conduct a more thorough water test). This makes Evan also the perfect companion during weekend trips, spring break, and summer vacation–you know, all those times where you can forget about your laptop, but there's still a chance of a beer spill. Evan’s only drawback are the straps, which look and feel like seatbelts, but they don’t seem designed to help carry a lot of weight. Overall, this backpack is surprisingly spacious, and its unique look literally stopped strangers in their tracks. Several people I didn’t know asked me about it and where I got it during my testing period. So for those scary first days of school when making new friends is of outmost importance, Evan might be the best buddy to have so that people come chat you up. A versatile laptop bag that goes just as well with a blazer in professional settings as with a hoodie in more-casual moments. One of the most valuable lessons you can learn in school is “fake it, till you make it.” Especially when you’re going to an interview for an internship or your first real job during school. That’s why you should invest in a laptop bag that says that you can be professional, without making it seem like you borrowed your dad’s old briefcase. My pick is Timbuk2’s Proof Messenger Bag (MSRP $228, available on Amazon). This nice-looking messenger bag has a separate sleeve that can fit a 15-inch laptop. In the main compartment, I was able to fit an external keyboard and a mouse, as well as an iPad mini and a textbook. The main adjustable strap seemed a little short to me. It was fine for me at 5-foot-8, but I could see how a much taller person might want a longer strap so that the bag could rest lower on their body. Stability wise, the bag didn’t bounce even when I was carrying a lot of stuff and walking briskly. For additional stabilization, the Proof Messenger Bag comes with an additional cross-body strap that you can wrap around your waist. I tried it once but it felt more constricting than stabilizing. The only situation I could see a need for this cross-body strap is if I were climbing a mountain. Thankfully, this strap is fully removable. Timbuk2’s Proof bag is made of waxed canvas to protect your belongings from the rain (although I didn’t conduct a full water test). It also has sturdy zipper and genuine leather trim that are promised to last a very long time. Even with all that, I have to admit the Proof Messenger Bag is a little pricey, and I would only recommend it for someone interviewing for paid internships. Or, you can think of it as a long term investment. This bag is versatile enough that you don’t necessarily have to be wearing a blazer with it every time. Timbuk2 has a reputation for making quality products, and the company offers a lifetime warranty, so I was comfortable with it being a little higher-priced. Includes a 3500mAh rechargeable battery so you can charge your gear wherever you go. Going abroad during college can be an unforgetable experience, especially if you manage to keep your phone charged at all times to take photos while exploring another country. 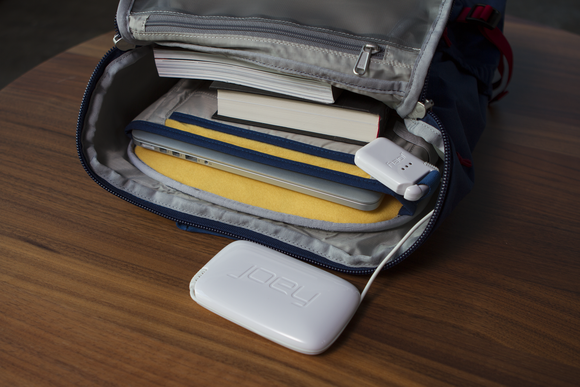 STM’s Drifter Energy backpack (MSRP $240, available on Amazon) has been recently upgraded to include a Joey rechargeable energy pack, so that you can have your very own charging station wherever you go. The Drifter Energy’s 3500mAh battery was able to recharge my iPhone 6s twice before being completely drained. Best of all, I could charge my phone while it was stashed in my backpack as I commuted to work or was en route to meet friends. And the backpack’s main compartment has straps and pouches to organize your cords so they don’t get tangled up while traveling. According to STM, the battery comes equipped with “temperature sensing” so neither the battery nor the gear ever gets overheated. This backpack was designed for keeping your electronic gadgets charged, but also protected. The laptop sleeve, which can fit up to a 15-inch MacBook Pro, is padded and attached to the back of the bag, as opposed to the bottom. That way, your laptop will remain suspended and never hit the floor, even if the backpack does. You can store your phone and camera on the top fleece-lined pocket to prevent scratches, or bumping around with the other stuff in the main compartment. STM’s Drifter Energy has a few other features that make it perfect for students studying abroad. It has a built-in luggage “pass-through” strap to attach it to your roller bag. The straps are padded and the back has mesh-covered foam panels to keep your shoulders and back comfortable during long walks, as well as to improve air flow and prevent your back from getting all sweaty. Lastly, there is a plastic rain cover hiding in the bottom zip pocket for those unexpected downpours. 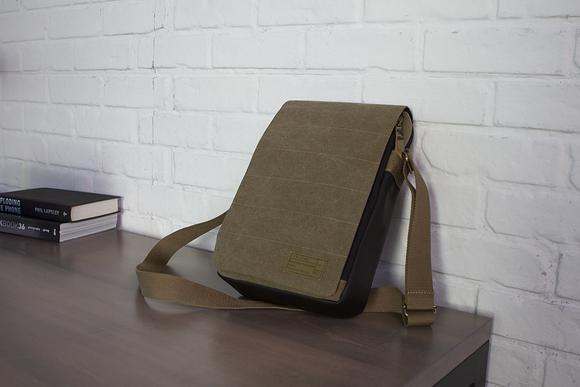 A heavy duty messenger bag with "roll top" design and made from weatherproof waxed canvas. Finals week is the by far the most hectic time of year for any student. That’s why you’ll need a laptop bag that can keep up with you, from marathon study sessions during rainy nights to dashing across campus to take that a final exam. 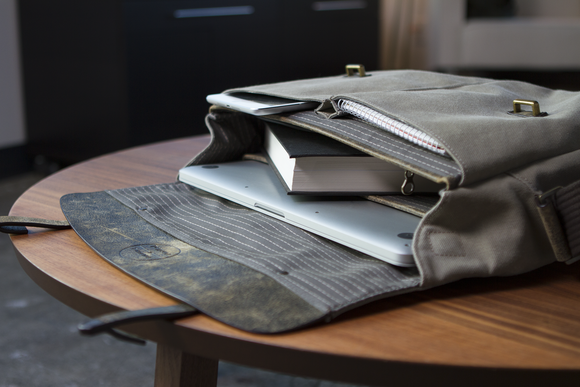 This Waxed Canvas Monty (MSRP $225) by Mission Workshop is a reliable laptop messenger bag that won’t quit even in the eleventh hour. During finals, you won’t even have time to put on two straps, so forget about a traditional backpack. The Waxed Canvas Monty has just one strap for easy-swinging over your shoulder without breaking your stride. If you’re carrying around way too much and feel like you might topple over at any second, the Monty has an additional cross-chest strap for better stabilization during your sprints. This messenger bag can fit a lot. I was able to stuff a 15-inch MacBook Pro, an iPad mini, two textbooks, and three hardcover novels, plus a water bottle, and external keyboard, and a glasses case. With all this stuff inside, the only issue was that there was no padding or soft-lining that made me totally confident that my gear would not get scratched or damaged bouncing around during my daily commute. That was the only drawback, because I would often find myself wondering if my electronics were totally secure back there, even in this heavy-duty messenger bag.